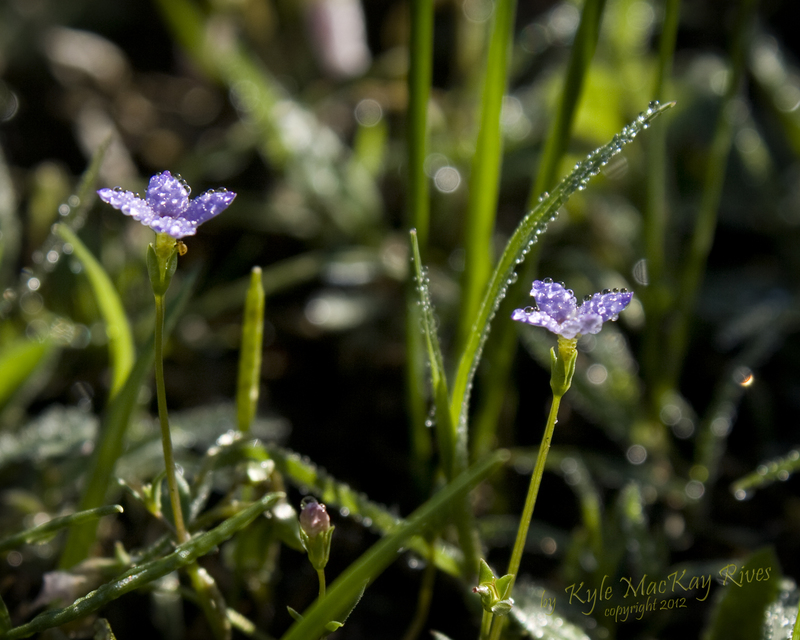 These dew-covered flowers remind me of cold glasses of Grape Kool Aid, covered with condensation. I can almost smell the tangy, fake-grape scent, taste the sweet-sour flavor, and feel those cold droplets of condensation on the glasses. What do these flowers make you think of? This entry was posted in photography and tagged 2012, Dew, flower, insect, Kool Aid, outdoors, photo, Photograph, Photography, purple, spring. ← What is fogging up these windows? Hmm?